Julia Reda is the representative of the German Pirate Party in the European Parliament, representing a young worldwide movement of people who believe in using technology for the empowerment of all. She is Vice-Chair of the Greens/EFA group and a co-founder of the Parliament’s Digital Agenda Intergroup. As rapporteur for the review of the 2001 copyright directive, she is advocating for a European copyright that is adapted to the digital era, that is easy to understand and enables the free exchange of culture and knowledge across borders. Julia Reda is the president of Young Pirates of Europe and one of the youngest members of the current European Parliament. She holds an M.A. in political science and communications science from Johannes-Gutenberg-University Mainz, Germany. 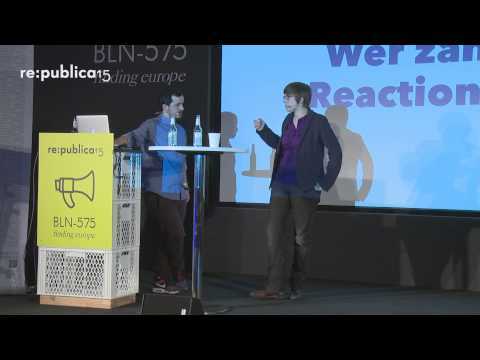 re:publica 2015 - Digitales Europa – analoges Urheberrecht: Wie schaffen wir die Wende?